Hello Friends! We’re excited to introduce you to three new videos on our site and on our YouTube Channel. The first video is a short Watchman’s Brief where J.R. talks about whether New Testaments are the best thing to give a non-believer or a new convert, as opposed to giving them a whole Bible. Does it really make a difference? Watch the video and decide for yourself. The second video shows the evangelism team at the Boatnik event in Grants Pass, preaching the gospel and giving out gospel tracts. The third video is called “Preaching in Reno.” J.R. joined up with two other evangelists and took a quick trip to Reno, NV to preach the gospel downtown and hand out gospel tracts at the Gay Pride Festival. It was a very exciting time because there is nothing more exhilarating than sharing the Word of God on the devil’s turf! All three videos are available on our YouTube channel and they are also embedded on the Episodes page of our website. None of them are very long. Total time for all three is about 20 minutes, so be sure and check them out! If you go to YouTube to watch, be sure and subscribe to the channel if you haven’t already. That way you’ll always be notified when a new video is uploaded. Another full episode of Watchman on the Wall is also coming soon! Just uploaded a brand new episode of Watchman on the Wall. This is episode 15 and it is on the eighth commandment, “You shall not steal.” Some interesting Biblical points on the subject of stealing. Many people don’t really have a clear understanding of what kind of conduct can be considered stealing. Hopefully, this episode will be an eye opener. This episode got uploaded a week and half ago, but I forgot to post it on this page. Sorry about that. Anyway, check it out. It’s embedded in the episodes page or you can go to YouTube if you’re already subscribed. I’m working on the next episode which is on stealing and hope to have that done this coming week. It’s back!! We just added a video update where J.R. talks about the return of Watchman on the Wall. We will be uploading a brand new episode within the next week or so. Please stay tuned! In this episode of the Watchman’s Brief, Evangelist J.R. Stevens shares a tool that he uses when sharing the gospel with someone that claims there is no God. Click on the Episodes page to watch it. The little card he uses is available as a free download. Click on the Resources page. Scroll down to “Downloads” and click on the Knowledge Card link. We hope you find this tool useful! This week I was going to teach on something else, but I ran across a news article that caused me to change gears. The incident I share from this article weighed so heavily on me that I really felt the Lord was steering me to address it. As Christians we need to always remember where we came from when we meet others that are not saved. Rather than target individuals for specific sins they commit that we don’t like, we should instead engage them in a loving manner; with the same grace and mercy that was shown to us. When we approach others, we need to see them as we once were. This should raise within us feelings of compassion, not hatred. We should want to extend the life buoy of the gospel. Unfortunately, there are some out there that claim to be Christians and yet show nothing but contempt for the lost. These hypocrites do nothing but put a black eye on Christianity. In the process, they profane the holy name of God. My prayer for all of us is that we continue to learn what it means to walk in the footsteps of Christ. Not condemning, but reaching out in love; the same love shown to us at Calvary. If you can’t walk the walk, don’t talk the talk. This week on Watchman on the Wall, Evangelist J.R. Stevens continues the ten-part series on the Ten Commandments. In this episode, we are looking at the sixth commandment. In the King James version, the commandment says, “Thou shalt not kill.” Other translations, including the New King James, say, “You shall not murder.” Most people think they are innocent of breaking this commandment. Following the example set by Jesus, we will look at the spirit of the law and not just the letter of it. In doing so and by looking at related scripture passages, we see that we are not as innocent of this transgression as we would like to believe. If you’ve run into this objection when evangelizing, you’ll want to tune in to this episode to learn how to counter the objection. This week Evangelist J.R. Stevens teaches on the fifth commandment which is to “honor your father and your mother.” But sometimes questions come up such as “how serious is God about this commandment?” “What if my father is bank robber?” Is honor still required? How can we use this commandment in evangelistic encounters? These questions and more are answered so please tune in! 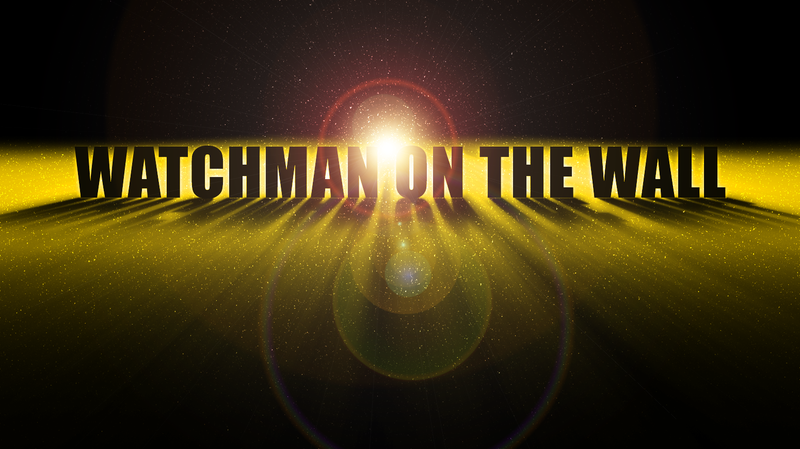 On this episode of Watchman on the Wall, Evangelist J.R. Stevens teaches on one of the most controversial commandments in Christendom. Many churches and groups have an unscriptural view of this commandment, most often because they don’t “rightly divide” the word of God. Are Christians mandated by scripture to observe the Sabbath as a condition of salvation? What does the Bible say about this? Tune in and find out as J.R. goes through the scriptures concerning this commandment. In this episode, Evangelist J.R. Stevens takes a look at a prevalent problem in the Christian community and that is the issue of not wanting to share the gospel with people we don’t like. J.R. gives two scriptural examples of men who had a hatred for someone and the lessons that God showed them. This is a very eye opening episode that shows us how we are to treat our enemies, according to God’s word.